“Green Juice” is nothing new, but juice drinkers are beginning to add copious amounts of a new green ingredient. Celery, the nearly universally-hated healthy snack, is appearing on juice menus across the countries. While it hasn’t gotten as much attention as kale and avocado, juicers argue that it has its own set of health benefits. Devotees say it’s cleared their skin, improved digestion, and provided an extra kick of energy through workouts. But how many of these benefits can be chalked up to good marketing and strategic implementation? Many of the articles detailing the benefits of celery site the same research: a study that recently appeared in the journal, Critical Reviews in Biotechnology. The abstract claims that Celery extracts, “possess various medicinal properties, such as antibacterial, anti-inflammatory and lowering blood glucose and serum lipid levels.” However, this quotation appears out of context in nearly every blog post detailing this new health craze. The study itself is not about the benefits of celery; instead, it is about advances in celery research through the implementation of regulatory genes, which will allow the vegetable to be selectively bred for function and chemical composition. In essence, this is a genetics paper dressed up as a nutritional study for popular consumption. Celery is, however, a very healthy food. At just 16 calories, 80mg of sodium, and 0.2g of fat per 100 calories, this is a relatively filling vegetable. The vitamin and mineral breakdown, however, is not as impressive as your local juicer may lead you to believe. One serving of celery has just 9% of your daily recommended value of Vitamin A, 5% for Vitamin C, and 4% for Calcium. While this doesn’t make the vegetable unhealthy, it should seriously curb your enthusiasm for the relatively tasteless, fibrous vegetable. Marketing an already-healthy vegetable as groundbreakingly healthy is not unusual. However, there may be something more insidious behind the recent celery trend. The foods often used to make green juice—kale and avocado, in particular—have become increasingly expensive over the past few months. In fact, avocado prices alone soared 125% in 2017. 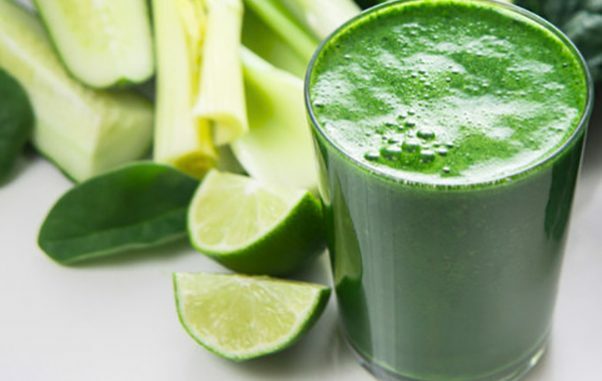 This added cost is likely weighing heavily on juice and smoothie businesses, who have relied on the “green food” trend for nearly a decade. It is likely that these businesses are looking for ways to cut production costs for their most popular products. Enter: one of the tasteless, nutrient-less, and cheapest vegetables available. Celery. In all likelihood, the celery trend is a marketing scheme designed to cut production costs while leading consumers to believe they’re indulging in a hip, new, healthy trend. In reality, these claims do not warrant a class action lawsuit; celery is healthy. It’s just not as healthy as your local juicer would like you to believe.